Using 3D printing processes to create end-use tooling is becoming more and more common as the capabilities of the technologies increase. 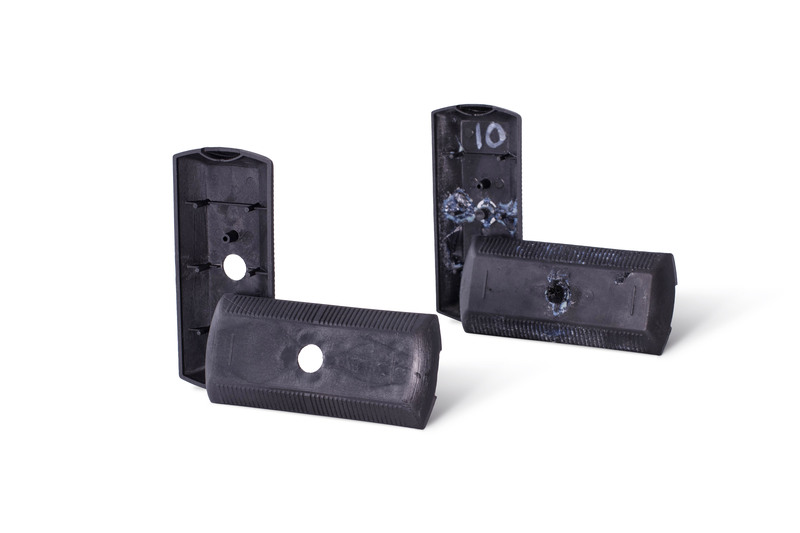 In this article we focus in a specific tooling application: low-run injection molding. An extensive review of the applications of 3D printing in this area can be found here. In this article, we compare two popular materials that are currently used in the industry for manufacturing injection molds. High stiffness: The molds must retain their good dimensional accuracy over multiple runs and withstand the high pressures during material injection without deforming. High-temperature resistance: A high heat deflection temperature (HDT) is crucial, not only to ensure that the mold will not fail during material injection but also to enable more precise control of the process. 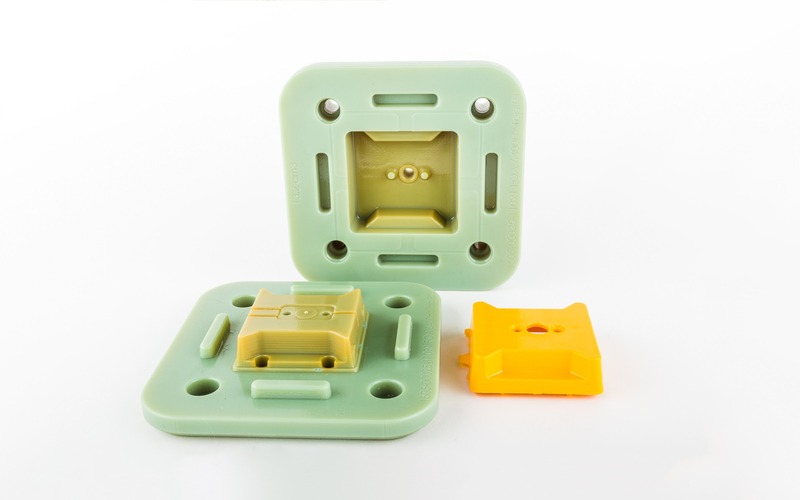 High level of detail: Injection molds must have high dimensional accuracy and a smooth surface. Highly accurate molds will produce highly accurate parts. The two 3D printing processes that are able to produce highly accurate and smooth parts (without extensive post-processing) are Material Jetting and Stereolithography (SLA). While Material Jetting is an industrial process exclusively, both desktop and industrial SLA systems exist. The available materials and production capabilities of desktop SLA 3D printers are not viable for high-end production though, so they will not be discussed here. 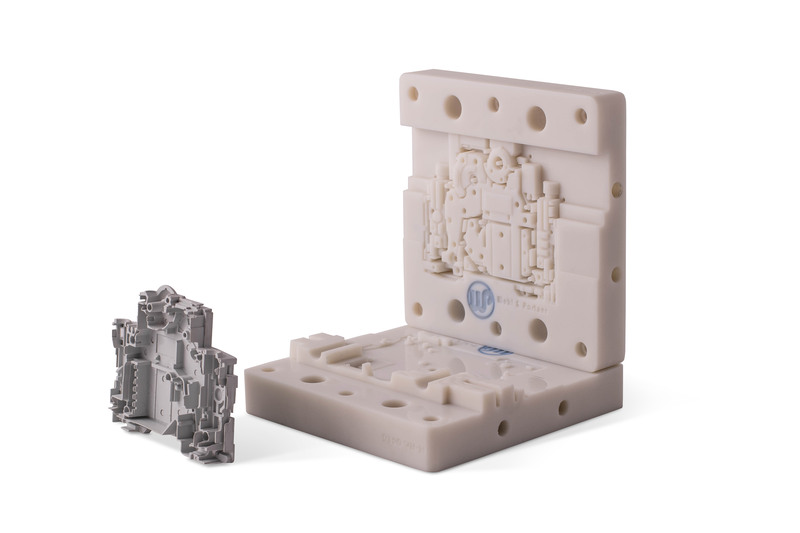 In this article we focus on two materials that are proven to be suitable of manufacturing low-run injection mold in an industrial environment: the Digital ABS plus for Material Jetting by Stratasys and the Somos PreFORM for SLA by DSM. Disclaimer: the material properties listed below are provided by the manufacturers and correspond to parts that have undertaken the optimal thermal post-curing process. Somos PerFORM has a very high tensile and flexural strength, not only when compared to Digital ABS, but also among all other industrial 3D printing materials (for example SLS nylon). However, it is more brittle (low elongation at break) and has a lower impact strength. For mold manufacturing, the mechanical properties of Somos PerFORM are preferable, as a high stiffness and strength are the main requirements. Heat Deflection Temperature (HDT) indicates the temperature at which a polymer deforms under a certain load. Glass Transition Temperature (Tg) is the temperature region where the thermoset material transitions from a solid "glassy" state to a more pliable "rubbery" state. For injection molding applications, high values of both HDT and Tg are preferable, so Somos PerFORM again outperforms Digital ABS. Digital ABS and Somos PerFORM are used in different 3D printing processes. The capabilities of a typical Material Jetting and of a typical industrial SLA system are outlined in the table below. Both technologies can produce very smooth parts with intricate details and require little post-processing. Digital ABS has a small advantage over Somos PerFORM in regards of level of detail, as Material Jetting has the highest dimensional accuracy among all 3D printing technologies (with SLA at a close second). 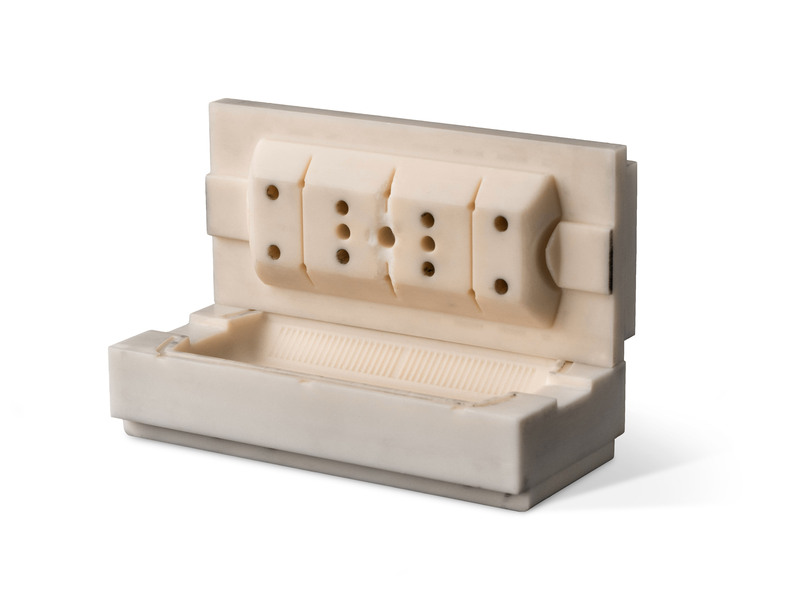 Both Digital ABS and Somos PerFORM have been used in industrial settings to produce low-run injection molds. The table below summarises the number of parts that a single mold can produces using materials that are considered "easy" and "difficult" to mold (PP and glass fiber filled PA respectively). The differences in mechanical and thermal properties of the two materials have an impact on the total number of parts a mold can produce. Under normal opperating condition (after the first 3-4 runs), the 3D printed mold will reach a temperature of approximately 120oC, as it is heated from the melted material. Good thermal stabillity is crucial for minimizing the deterioration of the mold. The PA GF test samples of the image bellow were produced using identical mold designs that 3D printed in the two materials (both show the part produced after the 10th run). The quallity of the part produced with the Digtal ABS mold is much lower, as the mold has started to overheat and deteriorate, while the Somos PerFORM mold was still stable. Injection molding is a very demanding tooling application: the material must have both high stiffness and must be able to operate at elevated temperatures. Material Jetting and SLA are the only 3D printing process that can produce parts with the dimensional accuracy and surface finish required for industrial applications. We compared two materials (one for each process) that are used to manufacture 3D printed low-run injection molds. Even though Digital ABS plus is an excellent material for most functional applications, the higher stiffness and the superior thermal properties of Somos PreFORM make it more suitable for mold making. This is evident by the number of parts each mold manufactured with the two material can produce. Want to compare prices and lead times for 3D printed mold in your area? If very high accuracy and a smooth surface finish are required, Material Jetting and SLA are the most suitable 3D printing processes for mold making. To retain their accuracy over multiple runs, 3D printing materials for manufacturing injection molds must have a high stiffness. A high HDT enables the use of higher mold temperatures during processing.